The major awards have been handed out and there was a fair amount of controversy there (as there always is), but now we are ready to move onto the second phase of the offseason. This is where we prepare for the hot stove season and player movement. Player movement certainly will affect player rankings some, but it often doesn’t have as much to do with performance as we might think. Total points is probably the purest form of ranking player performance as anything we might find. There are a number of different formulas out there, so we will use our own. Total points is used almost exclusively in all daily fantasy leagues, but it is all appearing in a growing number of season long leagues. First base is obviously far different than catchers, so rankings exist within the first base universe as we look at the top thirty guys. Everyone loves to play copycat and the Houston Astros and Chicago Cubs arguably built their champions the same way. They went through a scorched earth strategy that looked awfully ugly for a while. The White Sox are doing the same. That makes Abreu that last chip they have, but the market for first basemen is not what it used to be. He may end up staying with them until free agency following the 2019 season. Bell took significant steps forward both offensively and defensively in 2017. The question is whether there will be more growth in 2018. If we see the same rate of growth that we did in 2017 then he becomes a starting quality fantasy first baseman. As it stands, he rates better than the rankings above, but he is not quite a regular. The burning question coming into 2018 is whether he will watch the tape from the World Series and fix the hole in his swing or whether other teams will get better at exploiting it. He clearly could not hit breaking pitches low and in. He struggled to hit hard stuff low and in. Yet, teams in the playoffs have better pitchers that execute better pitches than the rest of the clubs. Try to hit that spot and you often get burned. So, maybe he just builds on success and accepts his Achilles heal. Belt is a great example of what happens to good teams after a while. You sign your own guys, but it just isn’t enough. Belt does come off looking better when you use total points and his fielding does increase his overall value, but as a fantasy player he is pretty middle of the road. If you have covered every other position then you can select him and be okay. The Marlins are going through another purge of payroll, but Bour should survive the purge based on his pre-arbitration status. He is fairly unremarkable as a fantasy prospect. If he produces like he did last season for a whole season he could be a borderline regular if you include him in the utility position. Unfortunately, he hasn’t put together a healthy season yet, so betting on that would be a long bet. If the Tigers could find a taker for Cabrera they would hasten their demise and rebuild themselves from the ashes. As it stands, they are still half way competitive and will never completely finish their rebuild. As for Cabrera, he would probably do well in a place where he didn’t have to be the best hitter in the lineup. Those days are done. He should be better than he was last season, but he will never be a top flight offensive first basemen again. Davis comes off a lot worse in total points formats because of the strikeouts. However, when healthy he has been pretty productive. That being said, Davis is probably a guy to avoid in these formats. Someone will see the 40+ home run power and pick him early or spend a little too much in the auction. Back to the musical chairs. Duda performed well last season once he was healthy, but like Davis he struggles in a total points format with the strikeouts. Now is not a good time to be a free agent. There are not enough starting jobs around to fill all the gaps. Does he remain in Tampa or do they bring Logan Morrison back? Do they sign Yonder Alonso? Maybe he becomes a platoon party somewhere. 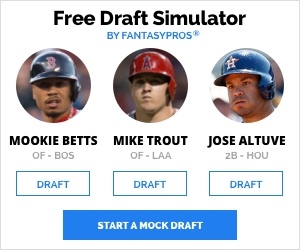 Ah, the ultimate difference between real baseball and fantasy baseball. 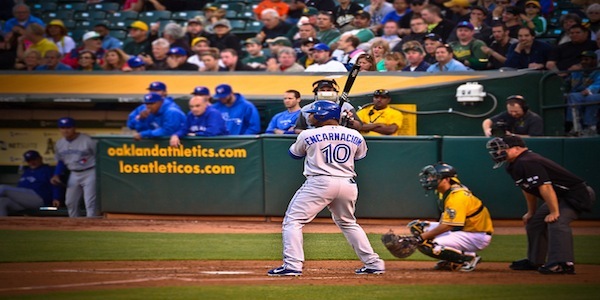 No one in their right mind would say Encarnacion is the best first basemen in baseball. Heck, he can’t even stay on the field because of his shaky defense. Offensively, he isn’t quite there either. He is a prolific hitter that drives in runs by the bunches. He also doesn’t strike out as often as some of the other big time first basemen. Add those two elements together and you get the best total points first basemen in baseball. The only thing standing in between Freeman and super stardom has been health. He has spent significant time on the disabled list in two out of the last three seasons. None of these injuries have any long-term implications. They are the kind of nuisance injuries that simply rob a player of time. As the Braves ramp up into contention his profile will increase and he will slide back into where he should be selected. The difference between Goldschmidt and Encarnacion comes down to strikeouts. 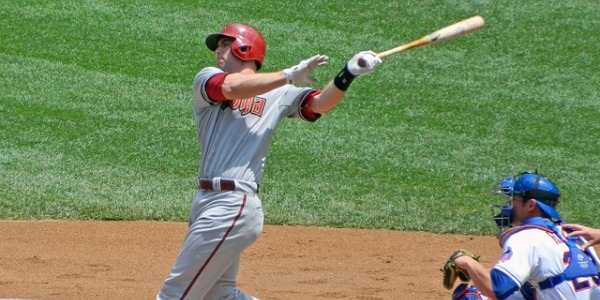 Five and six category leagues don’t count those, so Goldschmidt usually takes the top spot. It comes down to a philosophical argument about whether all outs are created equal. 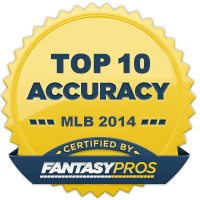 We don’t have time to adequately discuss that topic, but no one in their right mind would say Encarnacion is really a better player even in fantasy terms. Gonzalez got injured and fell off a cliff performance wise. The Dodgers would love to rid themselves of his contract and roster spot, but that will be a difficult sell. Up until last season he had also been a plus defender. Someone might give a little at the off chance that he was one more good season left in him. This is one of those cases where the overall average and rankings mean far less than recent trends. He should probably be avoided on draft day even if he finds regular work somewhere. Gurriel comes out looking a whole lot better in total points because he hits far more doubles than he hits home runs. He also doesn’t strike out as often as most other guys. The problem long term is that he also never walks. So, will pitchers find more ways to get him out or will he make an adjustment and be more selective? Total points is the great equalizer. If you look at the basic numbers you would think Hosmer would be in line to be one of the highest paid first basemen in the game. 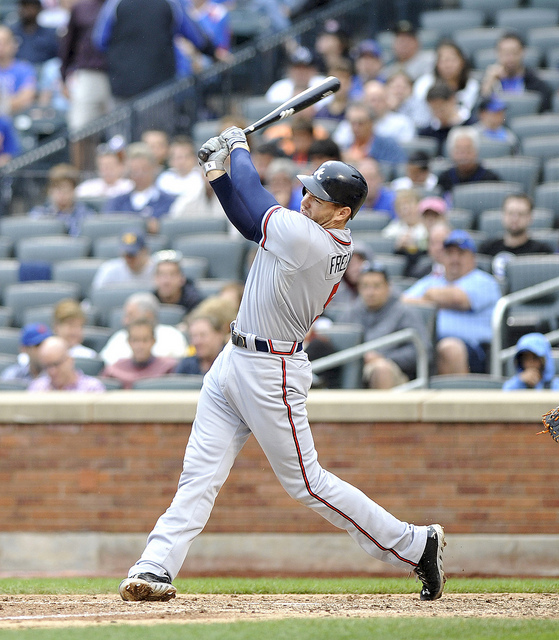 He hit over .300 and has been consistently healthy through the years. That masks numbers that are a shade better than mediocre as compared to the rest of the first base universe. Couple those with the fielding numbers and he basically is average. How much money is average worth? It might be worth more than you think, but one team will always pay more.